FOUNTAIN VALLEY, Calif. – Feb. 26, 2018 – D-Link today announced the immediate availability of its newest router, the AC1750 MU-MIMO Wi-Fi Router (DIR-867). The DIR-867 delivers powerful and reliable performance for users who demand faster Wi-Fi speeds for HD streaming and online gaming on multiple devices. This feature-packed router makes it easier for users to enjoy strong Wi-Fi speeds no matter where they are in the home. The DIR-867 offers blazing fast dual-band speeds of up to 1,750 Mbps1 and AC SmartBeam technology, which tracks connected devices for enhanced Wi-Fi speed and range. This router also comes with intelligent Quality of Service (QoS) with traffic prioritization, four high-performance external antennas for maximum range, parental controls, and an intuitive interface that allows users to setup their device and experience these features right out of the box. The DIR-867 also features the latest MU-MIMO (Multi-User Multiple Input Multiple Output) technology, which allows multiple devices to get high-bandwidth Wi-Fi signal at the same time. The D-Link AC1750 MU-MIMO Wi-Fi Router supports up to three data streams with MU-MIMO Technology, which allows multiple devices to receive high bandwidth Wi-Fi signals at the same time. With AC SmartBeam and MU-MIMO technologies, the DIR-867 is able to distribute data more efficiently to devices, allowing for the fastest Wi-Fi speeds in all areas of the home. The router also uses four high-performance external antennas to provide great coverage throughout the whole home. Users can also stream HD media faster and play lag-free online video games without having to sacrifice Wi-Fi speeds on any device, making the DIR-867 the perfect combination of performance and ease of use. The AC1750 MU-MIMO Wi-Fi Router (DIR-867) is available now for $89.99 through D-Link’s vast network of retail and e-tail partners. Detailed specifications are available online at D-Link’s website. Torrance, Calif. (Feb. 21, 2018) – Alpine Electronics of America, Inc. is now shipping the new iLX-F309 Alpine Halo9, an in-dash system with a 9-inch touch screen that “hovers” over the vehicle’s dashboard. The iLX-F309 is an AM/FM/Digital Media Receiver with a 9-inch WVGA touch screen and mech-less design (no CD/DVD slot). It uses a 1-DIN chassis for installation but the screen “hovers” over the vehicle’s dashboard, allowing the oversize screen to be added to a variety of vehicles without the need for custom installation. The iLX-F309’s 9-inch screen is attached to an adjustable mount that is connected to a traditional 1-DIN chassis. The screen hovers over the dashboard and its rear housing tapers at the edges for a thin profile. The screen can be tilted at four pre-set angle points (45 degrees, 20 degrees, 0 degrees, -20 degrees) for better viewing depending on the tilt and height of the dashboard. The screen can also be positioned 20 millimeters (mm) deeper than the default position or lowered 30 mm from the default position to adjust for the distance and height of the dash and to avoid any buttons or other components that may be close by. Once the positions are determined, the screen and mount are fixed to the chassis before installation. The iLX-F309 is suited for smartphone compatibility through Apple CarPlay® or Android Auto™ with the Google Assistant. The iLX-F309 has Bluetooth® wireless technology with audio streaming and a built-in HD Radio™ tuner. It can control Pandora® music from a compatible smartphone and is SiriusXM Ready™ (requires a SiriusXM tuner and subscription, both sold separately). There is a USB port for video or audio, an AUX input, and an HDMI input. A second HDMI input can be added via the KCX-630HD HDMI Selector (sold separately). Select factory features are retained and vehicle information is displayed when used with the iDatalink® Maestro® module (sold separately, retained features and vehicle information vary by vehicle). The iLX-F309 comes with one universal rear camera input, or it can be used with multiple cameras through the KCX-C2600B Multi-Camera Selector (cameras and selector sold separately). Electrical accessories like a light bar or motorized tonneau cover can be controlled by the iLX-F309’s touch screen when connected to the KAC-001 External Accessory Controller (sold separately). The iLX-F309 is available at authorized Alpine retailers for $1,100 SRI. Visit www.alpine-usa.com for a store locator. CarPlay® is a registered trademark of Apple, Inc., registered in the U.S. and other countries. Android™ Auto and Google Assistant are trademarks of Google LLC. PANDORA, the PANDORA logo, and the Pandora trade dress are trademarks or registered trademarks of Pandora Media, Inc., used with permission. Sirius, XM, SiriusXM and all related marks and logos are trademarks of Sirius XM Radio Inc. “HD Radio” is a registered trademark of iBiquity Digital Corporation. TheBluetooth word mark and logos are registered trademarks owned by Bluetooth SIG, Inc. and any use of such marks by Alpine Electronics, Inc. is under license. iDatalink is a registered trademark of Automotive Data Solutions, Inc. Othertrademarks and trade names are those of their respective owners. I enjoy spending time outdoors. Including music makes it even better. But since weather plays a factor, being waterproof helps. Up for review today is the JBL Boombox. As with the old school boombox, the JBL Boombox is portable to take your tunes on the go. Unlike the boomboxes of old, it’s also waterproof, so no worries regardless of the weather. The JBL Boombox came in a nice looking color printed box, with photos and features of the boombox. Opening the box revealed the product well protected in custom molded Styrofoam. Materials used in the construction was mostly plastic, with some rubber, cloth and metal. Quality of materials used was excellent, as was the fit and finish. The JBL Boombox is a premium product, and it shows! It is extremely well made, and feels very solid! The JBL Boombox should give years of use. I love the design of the JBL Boombox, with its smooth lines and cloth wrap. On top are just a few buttons for controls. On the back under a panel that provides a tight water seal, are the connections for charging cord, as well as a micro USB service port, 2 USB ports and an analog 3.5 mm audio port. So it’s ready for any weather it may encounter. The IPX7 rating is good for rain, or small dips up to 3 feet. So just don’t drop it in the pool. The JBL Boombox is good for music, and more. Up in the mountains, but realized that you forgot to charge your phone? No worries, as long as you have a charger cord. The JBL Boombox has a built-in 20,000 mAh battery, which is huge! So it’s good for 24 hours worth of playing time, or a combination of play time and charging. Which brings us to the use of the USB ports – charging your cell phone or tablet. For music, the JBL Boombox has you covered via Bluetooth, or an analog 3.5 mm port. So for your older music devices, just make sure you have a 3.5 mm analog cable. So far, I’ve been really impressed with the JBL Boombox. Having reviewed many JBL products in the past, I know what to expect from JBL and their quality. And the JBL Boombox holds true to their storied tradition. I was also pleased to see stereo tweeters and woofers, and I love the look of the two large passive radiators on each end. Add to that the ability to connect to another JBL wireless speakers through JBL Boombox is spades. The next question is how well does it sound? To test the sound quality of the JBL Boombox, I threw a wide gambit of songs from different genre. From Pavarotti, to Foreigner, to ZZ Top, to Michael Jackson, New Order, Katy Perry, Christina Perri, and Mannheim Steamroller. The JBL Boombox got a serious workout, with the wide gambit of music I threw at it. In the spirit of the winter Olympics that we are currently in the middle of, I’ll put it this way. It would be like a figure skater landing double quads, or a snowboarder landing a 1620 on the half pipe. The highs, mids, and bass all performed amazingly. With the music selection, I wanted to test vocals, instruments, and bass response. Vocals were silky smooth, very transparent to the source from my HTC One M9 Smartphone, and had nice texture and harmonics. Percussion was crisp and clean with good resolution, and dynamics. Flute was smooth with good air. Piano sounded very natural. The bass was tight and clean with punchy fast beats. And when the bass got deep, it still played clean and with authority. There was also good channel separation, providing a nice stereo aural imaging. The JBL Boombox had plenty of power, and only showed slight strain when it was played at max volume. When it came to the Bluetooth performance, the JBL Boombox continued to impress. Having a 2 story home with a basement, I really tested it's range. I had it on the main floor, and walked around downstairs, and also walked all around upstairs, and never a hiccup. So I decided to push it a little further and set it in the basement, and played it full blast. Walking upstairs to the main floor...no problem. And then walking all around on the 2nd floor...still not a single hiccup! Now I was really curious. Setting it outside at the end of my driveway, I started to walk down the street. 155 feet later, I lost the signal. Amazing! To sum things up, the JBL Boombox JBL nailed it! The JBL Boombox is built like a tank, is waterproof, easy to carry, and has enough power to play your tunes and charge your smartphone or tablet. And when it comes to playing your tunes, your music will come out loud and clear like you are used to it sounding, with excellent Bluetooth performance. And boy can it play loud! It has enough power to fill either your room, backyard, or campsite with clean sound. 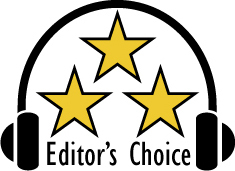 Based on its design, features, quality and performance, the JBL Boombox has earned our Editor’s Choice Award. If you like music, and the outdoors, you need to check out the JBL Boombox. For more info and complete specs, check out their website at www.JBL.com. Fremont, CA (February 15, 2018) — ASUS Republic of Gamers (ROG) today announced that the ROG Gladius II Origin optical gaming mouse is now available in North America. Gladius II Origin is the third model in the Gladius Series and provides gamers with an ergonomic design to suit various grip styles. It features the highly regarded Pixart PMW3360 sensor with 12,000 dpi to ensure that all mouse movements are accurately translated into precise cursor actions. Uniquely designed rubber side panels on both sides of the mouse offer enhanced control during glide and lift actions. ROG Gladius II Origin features an exclusive push-fit switch socket design that allows gamers to easily change switches in order to suit preferred click resistance and feedback. This feature also extends the lifespan of the mouse because worn or broken switches can simply be replaced. With pre-installed Omron switches rated up to 50 million clicks, and with an extra pair Omron switches for different click resistance, ROG Gladius II Origin offers customization options to suit the needs of any gamer. ROG Gladius II Origin also features left and right mouse buttons that are separate from the body chassis, reducing the force required to initiate each click while delivering a more tactile feedback. Additionally, a DPI switch allows for on-the-fly sensitivity adjustments, and an Alps scroll wheel encoder provides crisp scrolling action. ROG Gladius II Origin arrives with a detachable-cable design and includes two cable types, as well as a padded ROG pouch for protection and convenience. The additional cable eliminates the need to unplug the main cable from the computer, so gamers can simply put their mouse in the pouch and go. With three lighting zones, ROG Gladius II Origin lets gamers customize color and lighting effects, and also synchronize the lighting of the mouse with other Aura Sync-enabled devices for a coordinated gaming setup. Additionally, gamers can use the intuitive ROG Armoury software to customize lighting effects, adjust performance and surface calibration settings, program and map buttons, create profiles and more. ROG Gladius II Origin is available now at Amazon and other leading resellers at an MSRP of $99.99. Please contact your local ASUS representative for more information or visit us at ASUS ROG for additional product details. TORRANCE, Calif. – Feb. 6, 2018 -- TRENDnet® (www.TRENDnet.com), a global leader in reliable SMB and consumer networking and surveillance solutions, has announced the launch of its Powerline 200 AV PoE+ Adapters, models TPL-331EP and TPL-331EP2K. These Powerline adapters allow you to easily add PoE+ support to your existing Powerline network. If your home is not already prewired with Ethernet cabling, adding it may be very timely and costly. With TRENDnet’s new Powerline 200 AV PoE+ Adapters, a PoE connection can be made through your existing electrical power outlets. The TPL-331EP and TPL-331EP2K deliver Powerline 200 networking and PoE+ support to connected devices such as IP cameras, wireless access points, and VoIP handsets. "Powerline is convenient because it provides a wired connection through your home’s existing electrical system, eliminating the need to run Cat-5e cables that can be both time consuming and come with a heavy cost," said Evan Davis, senior manager of solutions engineering at TRENDnet. "With PoE readily available through Powerline network adapters, users can easily plug a camera or other PoE device in without worrying about PoE injectors, or wires for power and network connectivity." TRENDnet’s Powerline 200 AV PoE+ Adapters have a range of up to 300m (984 ft.) over existing electrical lines, and adapters are pre-encrypted for your convenience. Unlike other TRENDnet Powerline adapters, the Powerline 200 AV PoE+ Adapters have no power save mode, ideal for camera applications and other systems that would otherwise go into hibernation or standby mode. 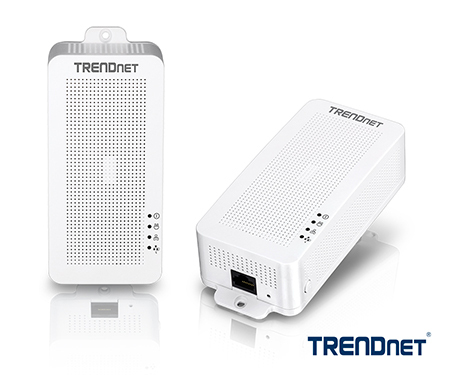 TRENDnet’s Powerline 200 AV PoE Adapter, model TPL-331EP, and the Powerline 200 AV PoE+ Adapter (2 Pack), model TPL-331EP2K are now available online on the TRENDnet Store, and nationwide via our distribution and retail partners.